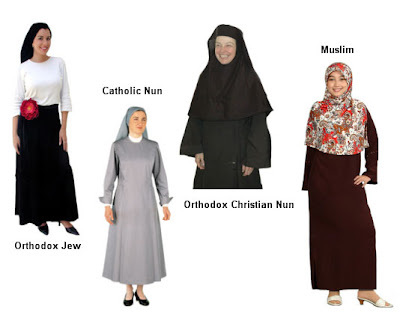 Very interesting image showing Modesty in different religions. some wanto to, other have to. simple. Sad.